Help! 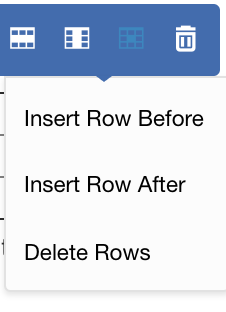 I made a table in my document but now I can't see how to format my table? Click anywhere in the table you've created in Airstory. Select from the various options available to satisfy your table's requirements. Use the 'tab' button on your keyboard to bring your cursor into the table's adjacent columns in order to begin typing in that column.